"Strategically located at the shores of the west Philippine sea, these structures served as posts to guard the shores from intruders during the Spanish period. 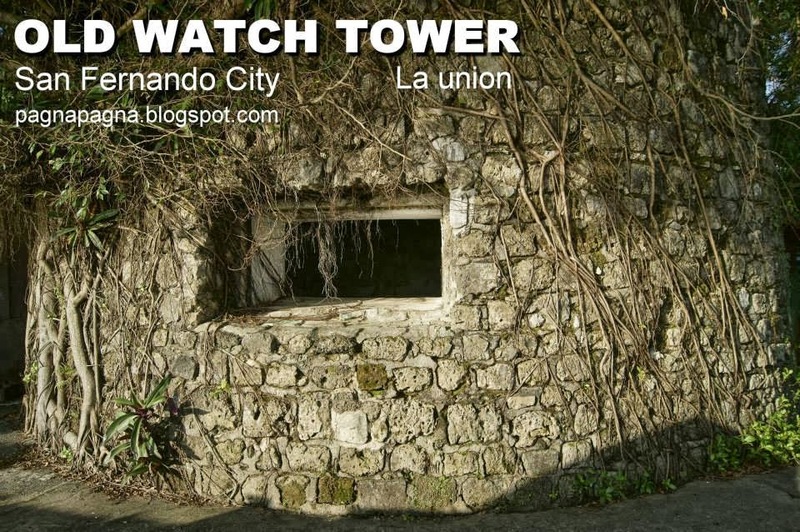 Inspired, I went to see them and did some on-site sketching"
This old watchtower is basically made up of coral stones, circular in plan overlooking the San Fernando bay area. 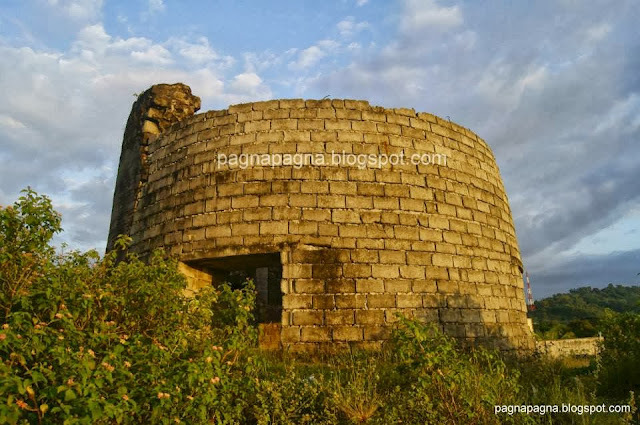 We refer to it as the "Moro Watchtower" because historically it is said that it was used as guarding post against "Moro pirates" during the Spanish period. Trees and other plants are slowly rooting their way to its rough exterior wall. Through the years it was owned privately and it was recently donated to the City of San Fernando for historical development. There where some modifications made by its previous handlers. - the interior wall was thickened with concrete cement to support a wooden second floor (now damaged) and a reinforced concrete roof deck. Both the second floor and roof deck can be accessed with an outside concrete stairs. - the entry openings where decorated with some cement ornaments. 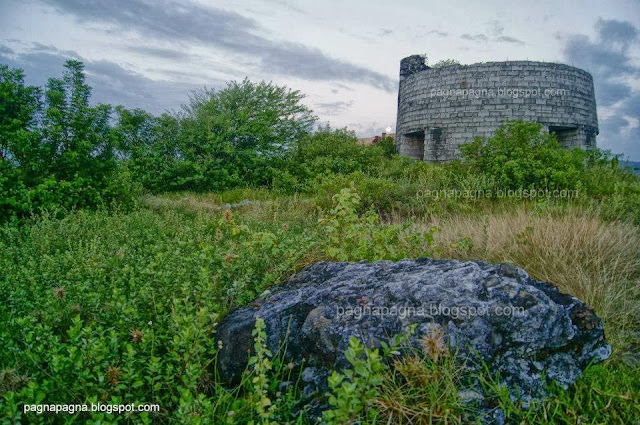 On sandy shore this circular watchtower stands. Few meters away lies some chunks of what it seems to be parts of the destroyed watchtower. 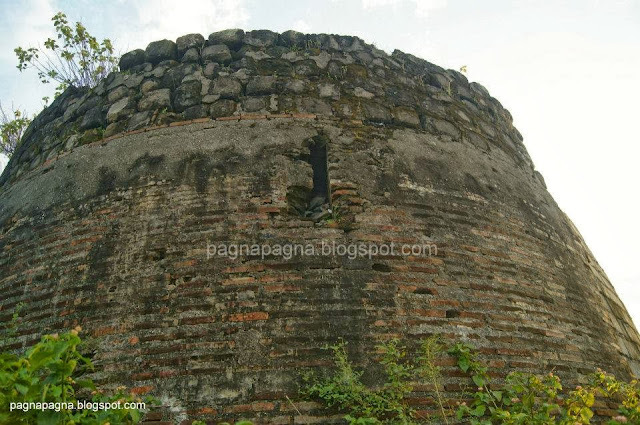 This watchtower is around 80 percent reconstructed. Only around 20 percent remained of the original brick and stone wall. The original wall can be seen at the northwest side of the watchtower. As of now, the walls are 80 percent made of reinforced concrete hollow blocks provided with reinforced concrete columns. From Manila take a bus bound for any of these Nortwest Luzon places : Laoag City (Ilocos Norte), Bangued (Abra), Vigan City (Ilocos Sur), and Candon City (Ilocos Sur) and San Fernando City (La Union). You have to get down at San Fernando City, La Union. 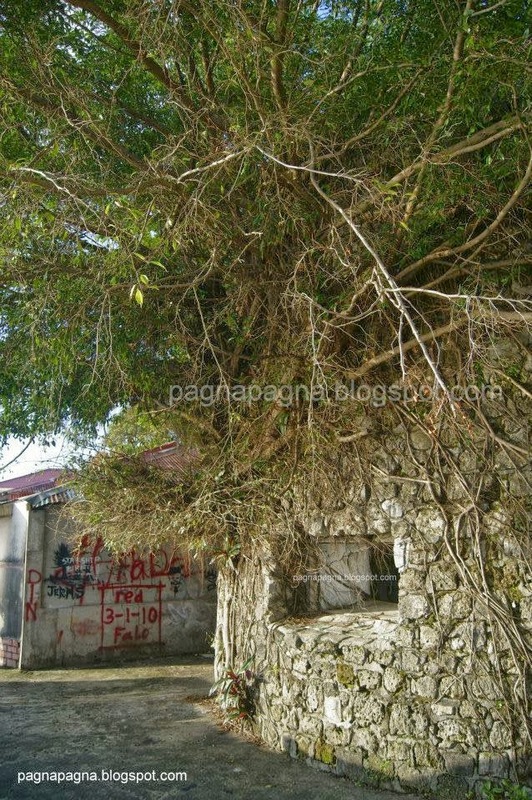 - Ride a jeep going to “LINGSAT” but get down at the waiting shed going to Carille Terraces Restaurant (just after the Coca-Cola Plant). Walk your way to Carille Terraces where the watchtower is located beside their pavilion (turn right when near Oceana Apartments). - Ride a tricycle and tell the driver to get you to “Carrille Terraces” at Barangay Carlatan which is near Oceana Apartments. But you have to get down at the Town Plaza of San Juan, La Union. - Cross the road to get to the “Municipal Hall area” and walk your way to a road at the back of the said area where you can see an Elementary School. Walk on the road (going west) just beside and north of the school that leads to the seaside where the “watchtower” is also located. - “San Gabriel”, “Bacnotan” or “Sto. Rosario, San Juan” but you have to get down at the Town Plaza of San Juan which is just infront of the Municipal Hall.At the Plaza, cross the road to get to the “Municipal Hall area” and walk your way to a road at the back of the said area where you can see an Elementary School. Walk on the road (going west) just beside and north of the school that leads to the seaside where the “watchtower” is also located. I'm looking for the historical context of the San Juan tower.